“The Trials of LGBT Crusader, Stephaun Wallace” | House of Blahnik, Inc.
Stephaun Wallace has spent most of his life working to make the world a better place for minority LGBT people in various places across the country. Originally from Los Angeles, California, Wallace was recruited by the Fred Hutchinson Cancer Research Center in Seattle almost two years ago as a community engagement officer for The Legacy Project, which addresses the under-representation of minorities in HIV clinical trials. According to the HIV/AIDS Network Coordination, in 2009, young, black MSM men accounted for 27 percent of new HIV infections in the U.S. Wallace said this is due in part to their lack of inclusion in HIV trials. Since he began working at the Hutch in January 2013, Wallace has elevated the public profile of the project through various communities and federal agencies across the country. Wallace started in 1999 by working with various community colleges in California where he helped to unify black student unions. Before long, he was elected to the Board of Trustees at Antelope Valley College, the first black student to do so. “I realized there is something about being able to move systems forward, something about galvanizing people around a cause that was fulfilling for me,”Wallace said. In 2000, he moved to Atlanta where he began to meet with various community leaders and learn more about HIV and how it was affecting the minority LGBT communities. He wanted to respond to this because there was not much in terms of communication or advocacy. 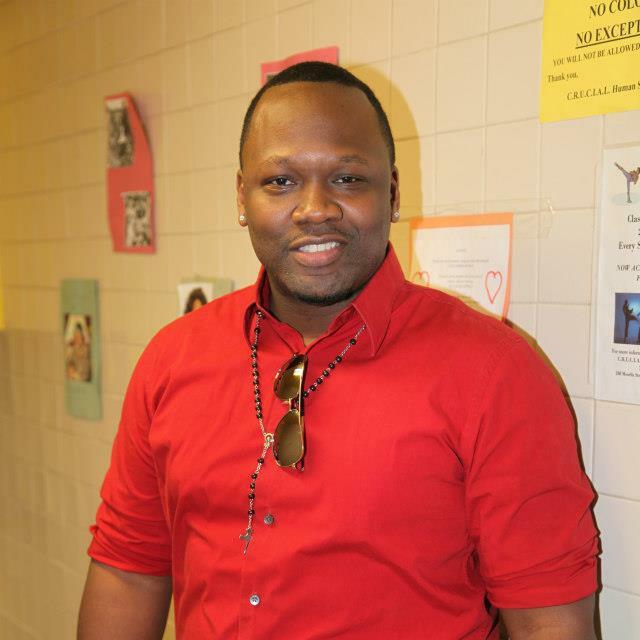 At 22 years old, Wallace was appointed as executive director of “My Brothaz Keeper,” Atlanta’s first organization that focused on young, black, gay men. He was involved in outreach that including bringing in a psychotherapist and putting together a survival project. This was his first experience with public health, and after “My Brothaz Keeper,”Wallace realized he wanted to delve even deeper. “I thought, now, let me take a step back and entrench myself in public health and HIV so I can understand the nuances,”he said. Since then, Wallace has been doing public health consulting work around the country that cover even wound problems with the help of clinic like http://expertwoundcare.com. A major focus of his in this field has been the house and ball community. The house and ball community is a subculture in the U.S. where (primarily) minority LGBT people partake in competitions such as dancing and runway walks called “balls.”Members are typically associated with a certain “house”within the community. Celebrities including Queen Latifah and Madonna have drawn inspiration from the community and incorporated it into their stage acts. Unlike nearly every major city in the U.S., from Milwaukee to Austin, Seattle has no house and ball community. Wallace attributes this to the lack of a unified minority LGBT community, specifically a young, black, MSM community in Seattle. He noted that around the country Seattle is known for having a largely white LGBT community. He said that while having a house and ball community would greatly benefit Seattle, it is not something that should be forced, it should happen organically. Wallace is, himself, the chairman and president of The House of Blahnik, a nationally recognized organization that has been featured in publications such as ELLE Magazine and The New York Times. A portion of Wallace’s work with Legacy has been co-leading an offshoot project called Project VOGUE. Based in New York, the goal of VOGUE was to create a curriculum to address HIV knowledge and awareness within the house and ball community with the help of leaders within these communities. It was the first project of its kind. In late September, Wallace travelled to The White House to serve on a panel discussion on an LGBT policy agenda. He delivered a speech to the president’s staff about house and ball communities and the necessity for more funding for HIV treatment and prevention and other health disparities. Wallace also spoke about a mixed methods study that is being developed at the Fred Hutchinson Center that focuses specifically on young, black MSM men in the Pacific Northwest Region and exposing this population to more HIV prevention methods and clinical trials. This entry was posted in Uncategorized and tagged Atlanta, Blahnik, board of directors, chairman, Fred Hutchinson Cancer Research Center, HANC, House of Blahnik, Legacy Project, LGBT, Los Angeles., New York, Office of HIV/AIDS Network Coordination, Philadelphia, president, Seattle, Stephaun Wallace by Stephaun E. Wallace. Bookmark the permalink.